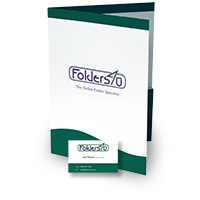 We currently offer a choice of three colour options for folder printing on the website, with the additional choice of printing both sides or on the outside (and pocket) of the folder only. 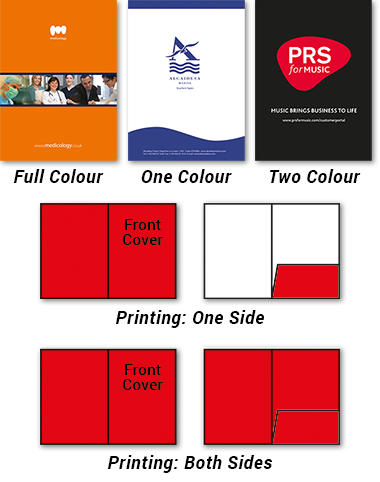 All available colour options are shown as columns in our price tables. 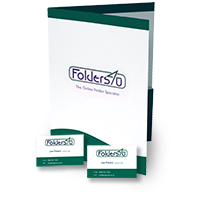 Since folders are printed on white card, you get white for free. 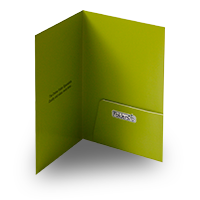 So for example, a green and white design counts as one colour, not two. 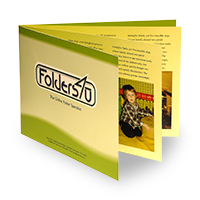 With this option we print in full colour using the standard CMYK 4-colour process. 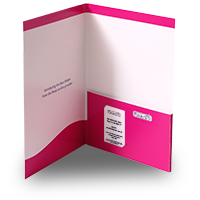 This option allows for printing in tints and solids of one colour, which may be black or a specified special ink, eg a Pantone PMS colour. 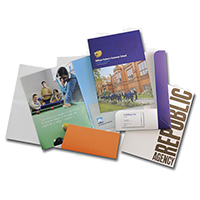 This option allows for printing in tints and solids of two colours, each of which may be either black or a specified special ink, eg a Pantone PMS colour. Select your colour option on a product page by using the relevant column in the price table. You can filter the table to display fewer columns by using the printing (sides) radio buttons and the colour options tabs. Want something different? 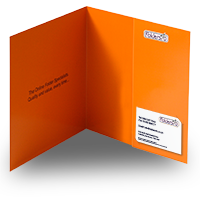 For other colour options, please call us for a price on 000.